January | 2016 | Mothers Against Wind Turbines Inc.
A resolution against wind power from a nearby municipality found a receptive audience at Norfolk council this week. 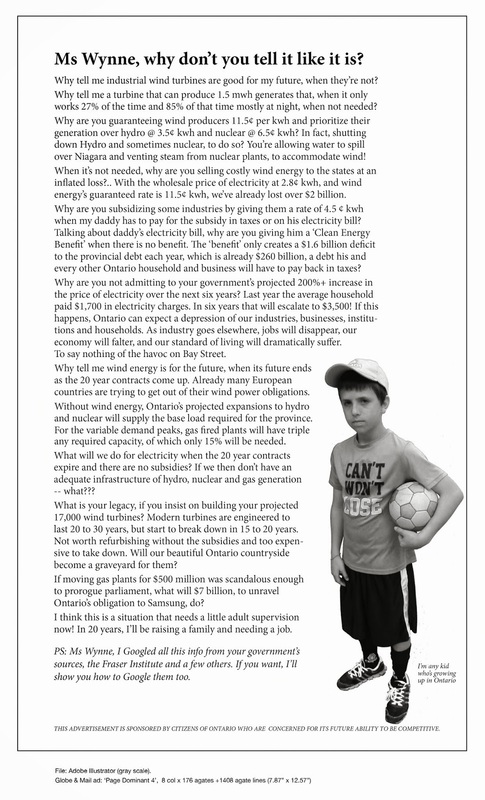 The Municipality of Dutton-Dunwich is campaigning against the Wynne government’s plan this year to invite applications for an additional 300 megawatts of wind-powered electricity generation. It would take about 150 industrial wind turbines to produce this much power. Dutton-Dunwich is located along the Lake Erie shoreline west of St. Thomas. It fears a large number of these turbines could be imposed on its residents. 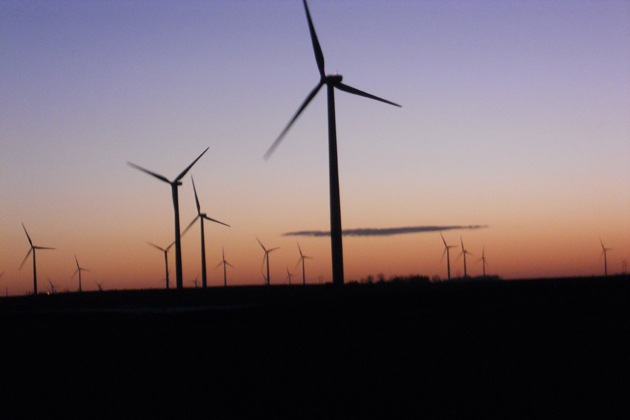 A green energy firm is lobbying for a wind farm in Dutton-Dunwich. Naturalists are concerned because Dutton-Dunwich is an important, unobstructed flyway for migrating birds and bats. As well, the Chippewas of the Thames First Nations have not endorsed the project. Dutton-Dunwich is also concerned because the Wynne government is intent on building green energy capacity at a time of declining demand in Ontario. The municipality says Ontario increased its generating capacity by 19 per cent over the past eight years while provincial demand in the same period fell 7.5 per cent. And the capacity Ontario has added is expensive. Citing a scathing Auditor-General’s report issued in December, Dutton-Dunwich says Ontarians are paying twice as much for wind-generated electricity as other jurisdictions. The high cost of electricity in Ontario is hurting the province’s ability to compete and create jobs. 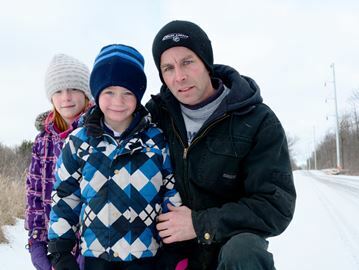 WAINFLEET — They knew the turbines were coming, they even knew the fight to stop them was all but over; what they didn’t know however was how construction would impact their lives. A group of Wellandport residents living on Side Road 42 and Concession 6 recently met with Wainfleet Mayor April Jeffs to go through a laundry list of complaints associated with construction of wind turbines, specifically the transmission lines for the project. “There is no notice,” said Concession 6 property owner LeaAnne Robins, who has seen construction devastate roadside trees in front of her property. “They’ve massacred all the 80-year-old oaks on the road,” she said, explaining she expects construction of transmission towers to follow the clear cutting. She said there was no notice given of how her property would be impacted and added it is hard to see the trees go. Robins noted one instance where construction trucks have delayed access significantly to her property. On Side Road 42 where transmission towers are already going up those delays have become common. 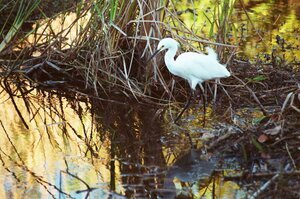 Please join us: Presentations to 2 Councils this week! The fight continues! Executive of WLGWAG and MAWT (Mothers Against Wind Turbines) will be presenting to West Lincoln CouncilMonday and Wainfleet Council Tuesday. These presentations are further to our presentations in West Lincoln several weeks back where we initiated discussions regarding monitoring of noise emissions. We will appreciate and benefit from your support in person. See below for details. Please also note links at the bottom to interesting articles regarding our efforts. Mike will present the Noise Monitoring presentation to get Wainfleet behind us. Your support and interest is greatly appreciated. With some of the largest industrial wind turbines in North America rising from the rural West Lincoln landscape, two citizens groups are asking the local government to begin monitoring noise. Jankowski, who said he has personally experienced health effects related to the HAF Wind Energy project already in operation in West Lincoln, said it’s a matter of when, not if, those living near the Niagara Region Wind Farm currently under development will experience adverse health effects. The groups say the noise data will help establish a clear picture of what residents are dealing with. What began as a mild ringing in the ear turned into dizziness and decreased mental capacity for Jankowski. His teenage daughter has also suffered debilitating migraines with stroke-like symptoms. The problems have been ongoing for the past year and a half. WLGWAG and MAWT came before committee with several asks Monday, the main of which was for a commitment from the municipality that it will protect the community. The groups are requesting the township immediately look into ways of establishing and collecting noise data, to establish an advisory committee to hear turbine-related concerns and that it presses the government to purchase more sound measuring devices. Coun. Joanne Chechalk, vice chair of the planning committee, said she was all for collecting noise information but wanted to take the request one step further. another day of hearings into PECFN’s appeal of the Ministry of Environment and Climate Change (MOECC) Renewable Energy Approval (REA) of the Gilead Power Industrial Wind turbine project at Ostrander Point Crown Land Block. We were in a smaller room at the ERT offices in Toronto this time, with only about 8 desk spaces and 20 chairs available for spectators. All the chairs and desks were full. About 15 PECFN and SSC supporters from Prince Edward County made the trip to Toronto. against the project when it was first proposed due to the danger it would cause to the population of Blanding’s Turtles at the site. these two matters. Eric Gillespie and Chris Palliere spoke, also disagreeing with Mr. Hamilton. The panel reserved their decision (they will let us know later what they have decided). approval holder (Gilead) and the MOECC that gates on the roads would save the turtles from serious and irreversible harm. by approving the Gilead power project because it involves renewable energy. There ensued a “discussion” between Mr. Wright and Ms. Davis regarding the MOECC’s Statement of Environmental Values (SEV). Mr. Wright has required Ms. Davis (and all other legal representatives) to submit to the Tribunal by Wednesday January 20 the arguments she is using to support her contention that approving the Ostrander Point project satisfies (or doesn’t) the Statement of Environmental Values of the MOECC. Eventually the Tribunal will issue a decision on the issue of timing and bias. The final decision on the remedy issue will follow. I will try to keep you up to date as get information. The location of wind turbines in close proximity to the Collingwood Regional Airport would be “fatal” to the facility, according to an economic impact study. The report, prepared by Malone Givens Parson at the behest of Clearview Township and the Town of Collingwood as part of their case against the turbines proposed by WPD Canada, determined the turbines would have a “significant negative impact on the operations” of the local airport. The study is part of the two municipalities’ submission to the Minister of Environment and Climate Change and is intended to provide a thorough look at the potential economic impacts of WPD’s Fairview Wind project, including the perception of the economic viability of the future of the airport for those looking to invest in the airport. The document was submitted to the ministry on Jan. 8, and released publicly on Monday.